A prototype service utilising satellites for mapping forests to aid compliance with the Kyoto Protocol has been endorsed by end users from European countries. One environmental ministry representative said the baseline carbon stock information provided a "goldmine". ESA's KYOTO-INVENTORY service has been designed to produce information products on changing land use associated with carbon 'sinks' or 'sources' that can support national governments' reporting requirements to the Kyoto Protocol. This three-year demonstration service has now formally ended, but activities are set to continue under the banner of a broader project called GSE-Forest Monitoring. It is generally accepted fact that the global climate is heating up, and increased human-induced emissions of 'greenhouse gases' â€“ chief among them carbon dioxide â€“ is the main reason why. The Kyoto Protocol to the United Nations Framework Convention on Climate Change (UNFCCC), which entered into force on 16 February 2005, commits its signatories to limit overall emissions of these gases. Developed countries in general are required to reduce their greenhouse gas emissions by 5% from those during reference year 1990, with the European Union committed to a reduction of 8%. However the Protocol also includes a mechanism for offsetting emissions against increases in the stock of carbon stored in vegetation, in particular forests. What the Protocol requires for such offsetting to take place is annual reporting of land use changes â€“ especially afforestation, reforestation and deforestation (ARD) - associated with shifts in the terrestrial carbon stock, to be carried out at the national level. 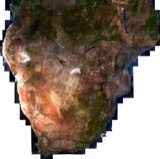 ESA has a long-standing interest in applying Earth Observation to strengthen the effectiveness of international conventions, so work began on the KYOTO-INVENTORY service for land cover mapping, supported through the Agency's Data User Programme â€“ back in November 2002. Data from satellites including ERS, Landsat, Proba and SPOT were utilised to produce forest maps, land use and land use change maps covering 1990, 1997 and 2002 across 200 234 square kilometres of European territory. An international consortium led by Italian company Intecs was selected to implement the service. National end-users responsible for Kyoto reporting were recruited for product and service definition in Italy, the Netherlands and Switzerland, with Spain (plus an additional Italian partner â€“ the Ministry for Agriculture and Forestry, MiPAF) joining during the service provision stage. To mark the conclusion of the three-year project, a one-day workshop took place on 2 November at ESRIN, ESA's Europe Centre for Earth Observation in Frascati, Italy, attended by staff of institutions responsible for preparing carbon inventories for Kyoto as well as researchers and experts working in climate policy and technical issues related to monitoring, reporting and accounting. JosÃ© Romero of the Swiss Agency for the Environment, Forests and Landscapes (SAEFL â€“ being renamed the Federal Office for the Environment in 2006) stated he regarded satellite-derived products of this type as key input data for national greenhouse gas reporting. Romero added that the 0.5 hectare-resolution land use map produced by KYOTO-INVENTORY presented an improvement on current information sources, with service coverage extended across all 41 290 square kilometres of Swiss territory. He explained that forest in Switzerland was distributed in a complex and often fragmented way across the country's 26 cantons, with an individual stand of trees more than 20 metres across and two metres high being counted as forest. Validation activities had been carried out by project partner Agriconsulting, and also checked against the country's detailed 'Arealstatistik' land use map data, compiled once every 12 years. "We have found in general a good description of different zones, including differentiating between coniferous and deciduous tree species," Romero said. "There is some confusion between open forest and grassland, although only for a small fraction of the area covered." The overall product accuracy ranged from 90 to 95%. Jaap Paasman of the Netherlands Ministry of Agriculture, Nature and Food Quality (Ministerie van Landbouw, Natuur en Voedselkwaliteit, LNV) reported similar levels of product accuracy for the 41 000 square kilometres of Dutch forested areas covered by KYOTO-INVENTORY. He regarded the service not as a wholesale replacement for the current Netherlands' national system, but a useful means of improving its quality and reliability. Paasman added: "The real ESA goldmine â€“ where KYOTO-INVENTORY fits right into our current efforts â€“ is the baseline 1990 data it provides, which is needed to measure subsequent changes in carbon stock." Antonio Lumicisi of Italy's Ministry of the Environment (Ministero dell'Ambiente e della Tutela del Territorio, MATT) recounted that Kyoto-Inventory service coverage ranged across five complete regions of the country, with very different geographical characteristics and forest types: Lombardy, Abruzzo, Molise, Toscana and Calabria. Land use maps for 1989, 1997 and 2002 were produced, with land use change maps for 1989-1997 and 1997-2002. These products are being validated by project partner Planetek, with additional, independent validation being performed by Tuscia University on behalf of the Ministry. They are being checked against Regional Forest Inventories carried out by regional administrations as well as the European Commission's CORINE 2000 Land Cover Map, with validation for Molise still to be completed. Lumicisi reported that results so far showed a thematic accuracy of 89.9 to 94.4%, concluding: "We do believe in the importance of this effort and that great results can be achieved." Gerardo SÃ¡nchez of the General Directorate for Biodiversity (DGB) of Spain's Ministry of the Environment (Ministerio de Medio Ambiente, MMA) explained that the country had begun participating in the processing stage of Kyoto-Inventory a year ago. Since then forest maps, land cover maps and land cover change maps across 37 949 square kilometres of territory in the three provinces of Lleida, Girona and Cacares had been produced. The products were supplementing the country's ten-yearly National Forest Inventory effort, data which was being used for ground truth purposes. SÃ¡nchez declared the products matched user specifications, thanks to the combined efforts of the processing team and the National Institute for Agricultural and Food Research and Technology (INIA), consultant to the Spanish Ministry of Education and Science, which provided precious territorial knowledge and made good results possible, notwithstanding the short time Spain was involved in the project with respect to other countries. Still some peculiarities of the Spanish regions need improvements, like the so-called 'dehesas', which are open forest with a 5-15% tree crown cover, sometimes classified as shrubland. Overall SÃ¡nchez pronounced this new information source as "very helpful", especially for providing a uniform approach for the whole country. The second part of the workshop focused more on the Italian case, and included speakers from the Italian regions. Enrico Zini of the Regional Agency for the Protection of the Environment of Lombardy (ARPA Lombardia), responsible for monitoring the state of the environment for the northern Italian Region, explained how Kyoto-Inventory products covering Lombardy had been compared to their own satellite-derived products and other information sources, to reveal good geometric accuracy and high mapping detail. In addition the KYOTO-INVENTORY product had the special strength of being derived within a short time, making it a "quick" product that is extremely helpful in areas with a high rate of change, requiring frequent land use updates. The KYOTO-INVENTORY project may be over, but the work continues - and is being scaled up - within a service called GSE Forest Monitoring. Having begun in 2003 with a consolidation phase, this October a fully operational forest and land use monitoring system offering standardised information products mainly based on Earth Observation has begun. Rainier Fockelmann of GSE Forest Monitoring project manager GAF AG briefed the workshop on the project so far. Within Europe, GSE Forest Monitoring has core users in Austria, Finland, France, Germany, Greece, Latvia, Poland, Russia and Sweden â€“ in addition to the users involved in KYOTO-INVENTORY - and is providing pan-European coverage to the European Environment Agency (EEA). On a global scale, the service is also working with countries including Indonesia, Namibia, and South Africa, and includes the evaluation of Clean Development Mechanism (CDM) afforestation in developing countries. 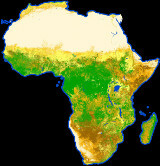 GSE Forest Monitoring is being carried out as part of the initial portfolio of services offered through Global Monitoring for Environment and Security (GMES), a joint initiative between ESA and the European Union to build a global monitoring capability in support of Europe's environmental and sustainable development goals. Kyoto-Inventory and GSE Forest Monitoring results are being jointly presented to the 8-10 000 delegates attending this month's United Nations Climate Change Conference in Montreal. Led by Intecs, the Kyoto-Inventory consortium comprises Agriconsulting, Dataspazio, Planetek Italia, the University of Trento and Telespazio â€“ all from Italy â€“ and NEO BV from the Netherlands.